Recession cannot outfox the Firefox! Open-source darlings and Firefox developer Mozilla has posted record financial results this week, reporting increased revenues up five-per cent on the previous financial year. It seems like the recession has passed the Firefox devs by, with Mozilla reporting an annual revenue of $78.6 million for the 2008 financial year. The Mozilla Corporation is a wholly-owned subsidiary of not-for-profit (and tax-exempt) Mozilla Foundation. A great deal of Mozilla's cash is generated through search deals with Google, in addition to investments and donations made by individuals to the Mozilla Foundation – which has led many to question the sustainability of its business model, as Google tightens its focus on the development of its own Chrome browser and OS. Mozilla has a full-time staff of around 200 people and its total assets at the end of 2008 were $116 million, (which includes $22 million set aside in a tax reserve fund in 2005 pending the outcome of an ongoing IRS investigation of Mozilla's tax status for 2004 and 2005). Basically, the IRS is questioning the tax-exempt status of the Mozilla Foundation, with the possible outcome that the organisation could find itself reclassified as a private foundation. That particular tax investigation is ongoing. "2008 was another exciting and robust year for Mozilla… Our scope of activities continued to grow, our community of committed contributors and users expanded, our geographical diversity deepened, and our effect on increasing openness, participation, innovation and individual empowerment in Internet life is significant." "Competition, while uncomfortable, has benefited Mozilla, pushing us to work harder," noted Baker. "Mozilla and Firefox continue to prosper, and to reflect our core values. We expect these competitive trends to continue, benefiting the entire Web." 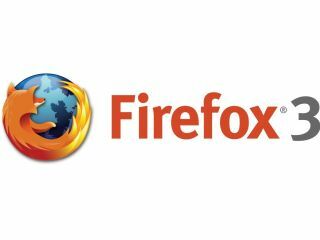 Google has recently extended its current contract with Mozilla to 2011.